We’re thrilled to announce a special new first prize for our national draw for those who complete Reading Ahead by July 2018. 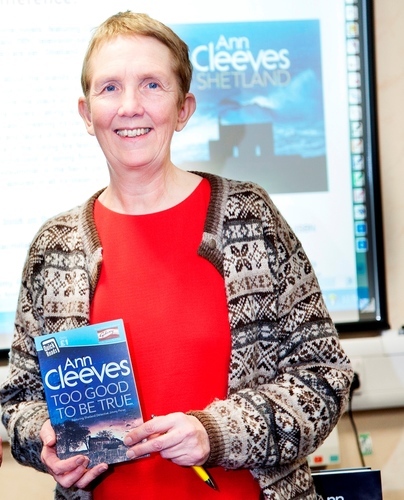 Bestselling writer Ann Cleeves, the author behind ITV’s Vera starring Brenda Blethyn and Shetland on BBC One, has kindly agreed to include the name of the lucky winner in one of her new books. Ann has written eight novels featuring DCI Vera Stanhope, the most recent of which, The Seagull, was published on 7 September. Last year Ann was awarded the highest honour in British crime writing,The Crime Writers’ Association Diamond Dagger. She published a Quick Read title, Too Good To Be True, in 2016. We are also offering prizes of £25 book tokens to ten runners-up. So get started on Reading Ahead now and you may be lucky!